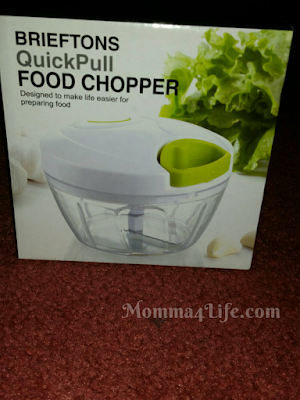 I am loving this Brieftons Food Chopper this chopper is amazing I used this chopper when I was making cold pasta salad for a party. 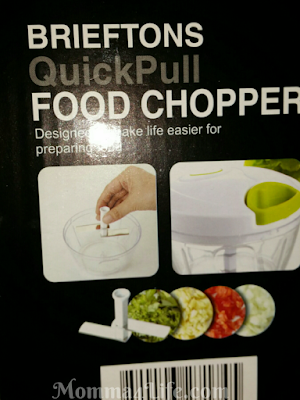 I needed to chop up green peppers to put into the salad so I decided to use this chopper. This was a great idea these green peppers chopped finely. 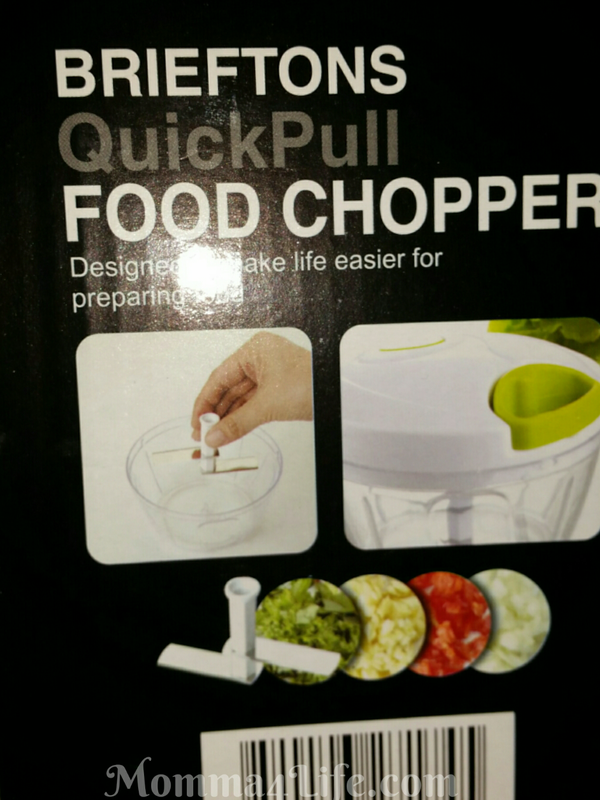 If you kept going it would probably turn to mush but once you stop its at the right consistency this chopper would be great for onions small potatoes carrots and of course green peppers. For any person that likes to cook I highly suggest this chopper it has it easy pull cord that spins the blades around to chop whatever you may want to. I'm really excited to use this for onions seeing how every time I cut them it burns like crazy so if I just chop up one onion in half place at all around blades pull the string it's perfect I don't have the onions all on my hands I don't have to have watery eyes. 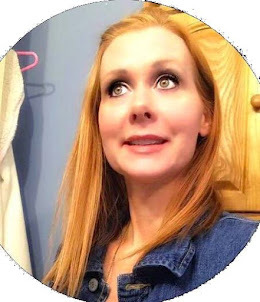 This would be nice to take on picnics or parties you're having out at the park if you want to chop onions or whatever the case might be really fast all you have to do is put some in there and pulled a small cord. If you know someone who likes to cook this would be a perfect addition to their kitchen Christmas is coming up and this would be a great holiday gift.